Intel's Optane SSDs – which utilize 3D Xpoint tech and promise to be screamingly fast – will be with us before the year is out. Yes, Optane drives will ship before the end of 2016 according to comments made by Brian Krzanich, chief executive of Intel. Indeed, as PC World reports, some of the SSDs have already been sent out to testers (mainly major cloud players). All this is in line with the schedule Intel set out last autumn, when it said that the SSDs would be available to enthusiast PC owners at some point during 2016. 3D Xpoint technology is expected to deliver super-speedy drives and also system memory, although the latter in particular will be aimed more at servers and data centers. The Optane SSDs, however, are not just for servers and are also aimed at enthusiast PC owners and gamers – albeit those with fat wallets who can afford a drive, as the early models will doubtless be pretty damn expensive. Krzanich even talked gaming briefly, noting that the drives could revolutionize level loading times: "You can pre-load in a cache-like environment the next level of your game so it loads almost instantly." 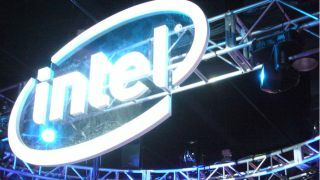 3D Xpoint has previously been billed as the biggest memory breakthrough since NAND flash was introduced, and indeed Intel has said it's 1000 times faster than NAND, and it took over a decade of research to develop. It boasts a transistor-less crosspoint (Xpoint) architecture which is somewhat akin to a three-dimensional chessboard, and this means that data can be read and written in small sizes at far faster speeds.